The song was originally performed at Crazy Horse's UK shows this summer and more recently part of Young’s solo acoustic set at Farm Aid in Raleigh, North Carolina. Young has posted three versions of the tune: orchestral, with Crazy Horse, and solo acoustic. The singer/songwriter recorded the orchestral version live with a 92-piece symphony and choir and no overdubs. 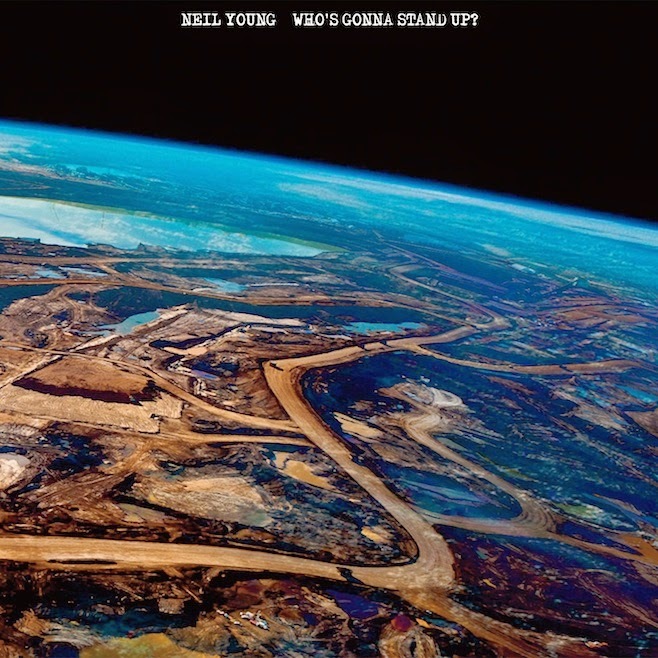 “Who’s Gonna Stand Up?” is billed as a plea to end the world’s dependence of fossil fuels while accepting responsibility to protect our earth’s fragile eco systems to ensure the quality of life for future generations. As for the orchestral album, Young told Billboard in March: "I'd like to make a record with a full-blown orchestra, live -- a mono recording with one mic. I want to do something like that where we really record what happened, with one point of view and the musicians moved closer and farther away, the way it was done in the past. To me that's a challenge and it's a sound that's unbelievable, and you can't get it any other way."